The Walker Cup is one of golf’s most famous and historic events. In 1921 two events took place, one at Gleneagles and one at Royal Liverpool, these would go on to become The Ryder Cup and The Walker Cup, respectively. At the beginning of September, the 46th playing of the Walker Cup Match will take place at Los Angeles Country Club. Here is a preview of this prestigious event. The event is named after George Herbert Walker president of the USGA in 1920, grandfather of President George HW Bush and great-grandfather of President George W Bush. Team USA leads Team GB&I 35-9 but the match has been more competitive since 1989. The score since then is a more even at 7-7. The original match at Hoylake featured Tommy Armour, Bobby Jones and Francis Ouimet. Most notable American Walker Cup players: Jack Nicklaus, Tiger Woods, Bobby Jones, Dustin Johnson, Rickie Fowler, Phil Mickelson and Jordan Spieth. Most notable GB&I players: Colin Montgomerie, Justin Rose, Paul Casey, Rory McIlroy and Luke Donald. This match is seen as an important medium of friendship between the USGA and the R&A who are responsible for selecting the respective teams. There has already been controversy in the selection of the US Team. The Jack Nicklaus Award is given to the best individual golfer from an NCAA Division I school. This year’s winner was LSU Tiger, Sam Burns. Having earned a sponsor’s invite to play the Barbasol Championship, he finished T6 in his first PGA TOUR event. He decided to delay turning pro so that he could play in the Walker Cup. He wasn’t chosen and it has caused upset. His showing at the US Amateur was not great, he was knocked-out before the matchplay stages, but his season as a whole should have been good enough for selection. Some of the other names from the US Team will ring a bell even for those not familiar with amateur golf. 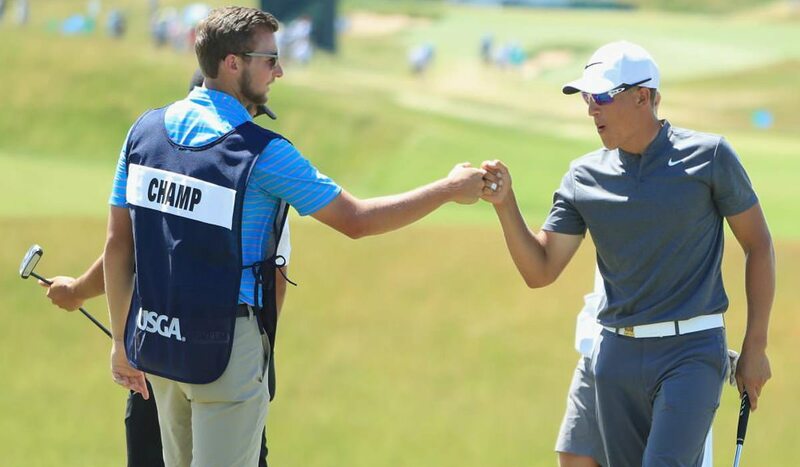 Cameron Champ had a strong US Open at Erin Hills where he finished level par. The only amateur to score better than Champ over the week was Scottie Scheffler who finished -1. Doc Redman, who is fresh off his victory in the US Amateur at Riviera CC has been chosen along with his fellow-finalist Doug Ghim. Former world number one, current world number two, Maverick McNealy is playing in his second Walker Cup. American amateurs tend to bring more fame due to their career development through the NCAA system. That being said, there are some big names in the team from GB&I. Connor Syme made some big waves in the US Amateur as he reached the quarter finals. The Australian Amateur Champion is currently ranked 13th in the world. One place above him is Robert MacIntyre, another Scot. 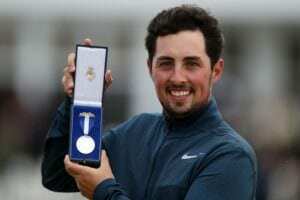 MacIntyre took the runner-up spot at the 2016 Amateur Championship and was part of Scotland’s victorious European Team Championship team. Alfie Plant has had a good year this year. He won the European Amateur Championship and the Silver Medal at The Open. His compatriot, Scott Gregory, is the best-ranked player in the GB&I team at 5th in the world. He won the 2016 Amateur Championship and played in The Masters and the US Open this year. The winner of the Amateur Championship this year, Harry Ellis will be looking to continue his strong year. Paul McBride who attends Wake Forrest, will be competing against his teammate William Zalatoris. Another rivalry that is set up is David Boote as he goes up against former Stanford teammate Maverick McNealy. The venue for the match is the prestigious Los Angeles Country Club. Fittingly, the course was first designed in 1921, the same year as the first Walker Cup Match. The course underwent a major renovation in 2005 and reopened in 2010. The renovation was done by Gil Hanse, the man behind courses such as the Olympic Course in Rio and Castle Stuart, and he’s brought the course to its former glory. The all-important question. Walker Cup matches have thankfully become much harder to predict in recent decades. Going into this event Team USA have to go down as favourites. They are stronger team on paper and they are playing at home. However, the GB&I team are defending the trophy they won at Royal Lytham & St Annes. The last four matches have gone to the home team but, of course, anything can happen at the Walker Cup.